Iran's bazaar merchants do not have a good reputation. They are conceived by most Iranians to be wealthy individuals with their own interests as their top priority. A conservative cast who embody resistance to change and modernity, rarely thinking about other fellow human beings. A typical Iranian bazaar merchant is someone who wears his religious piety on his sleeves, with the sole aim of furthering his own goals. They have been the prime source of funding for the clerics for centuries and they played an important role in the 1979 revolution. Their motives was nothing noble however, by funding the clerics, they thought they were investing in their after life and at the same time fighting back modernisation. In a typical Iranian bazaar merchant's house, you will be lucky to find any books, instead what money they have not hoarded, they would spend on items which may increase in value and mostly hidden away. For this stratum of the Iranian society, despite their wealth, they are even clueless in how to enjoy their money. As always of course, there are exceptions to the rule. The Iranian bazaar merchant, Mohsen Dogmechi was a huge exception to this rule. Mohsen Dogmehchi, was a bazaar merchant who helped the families of Iran's political prisoners. A crime intolerable for the revolution savvy Islamic Republic of Iran, hell bent on crushing any sign of resistance or human charity. The evil Judge Salavati sentenced him to 10 years imprisonment in August 2009, purely for helping the families of political prisoners in Iran. 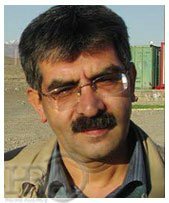 He was first incarcerated in the notorious Evin prison and later transferred to the even worse prison near Karaj. In the last three months, Human Rights organisations warned about the deteriorating health of Mohsen Dogmechi. He was suffering from advanced pancreas cancer. In his last days, his conditions were so bad, he was even unable to sit up in bed. For four weeks, he was unable to eat any food and at the end, even drinking water or milk would cause him agonising pain. Despite all this suffering, Islamic Republic's prison authorities refused to release him. Mohsen Dogmechi died on March 28th. The regime had also previously arrested, Dogmechi's wife, Maryam Alangi in October 2009. He was punished to death because his daughter is at Camp Ashraf and he gave money to families of Mojaheds in Iran.